The falsity of the American Dream is the dominant theme of Arthur Miller’s play. Willy Loman represents the primary target of this dream. Like most middle-class working men, he struggles to provide financial security for his family and dreams about making himself a huge financial success. After years of working as a traveling salesman, Willy Loman has only an old car, an empty house, and a defeated spirit. Miller chose the job of salesman carefully for his American Dreamer. A salesman does not make his/her own product, has not mastered a particular skill or a body of knowledge, and works on the empty substance of dreams and promises. 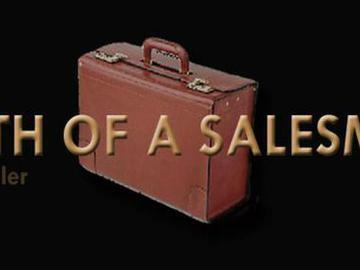 Additionally, a salesman must sell his/her personality as much as his/her product. Willy Loman falsely believes he needs nothing more than to be well liked to make it big.